Added to the Woot Plus Camera sale, a longer-running sale until mid-April 2018 (or earlier for any that sell out), you can get the new condition Leica D-Lux Black Digital Camera for $690 with free shipping for Prime members or +$5 flat for non-members. It comes with a 90-day Woot warranty. This is a 12mp Four Thirds sensor camera with 24-75mm f1.7-2.8 lens. FREE to Watch (starts 4pm ET): Leica M Typ 240 Fast Start Class World Premiere! The second feature in today’s Leica double header at CreativeLIVE starts at 4pm eastern, the live-recording world-premiere of the Leica M Typ 240 Fast Start. It is free to watch while it is part of the CreativeLIVE On-Air schedule. If you missed it earlier today, it is repeating at least until tomorrow 12pm ET (sometimes the reruns continue for a second day), the Leica M10 Fast Start. Both are half-day classes. Leica fans, today is your day at the CreativeLIVE On-Air. Starting at 12pm eastern today (Thursday 3/15/18) they will have the world premiere of a brand new “Fast Start” class with John Greengo, it is the Leica M10 Fast Start. The class is free to watch via streaming while it is featured at the aforelinked On-Air page. This is a LIVE recording, in Seattle, in front of a live studio audience! Look under your chairs audience, you get a red dot, you get a red dot, you get a red dot! Just the red dot, not the whole camera ^_^. But wait there’s more! It’s a double header day. After they come back from lunch, starting at 4pm eastern they will have the live-recording world-premiere of the Leica M Typ 240 Fast Start, live-recording/streaming for free as well. Since John Greengo has not been cloned, these are half-day classes. If you miss the original live airing, they typically replay throughout the day and night until 12pm eastern of the following day. The new condition Leica Q Typ 116 ranges from $4250 (black) to $4495 (silver) depending on color. If you are willing to go used, Adorama has it USED in “Very Good” condition for $2999 plus shipping (starts at $22). This is a 35mm full frame fixed lens camera, the only non-Sony RX-series at the moment. PS: if/when it sells out, the used listing will be automatically yanked by their server, so if you don’t see a camera, it means it sold out. 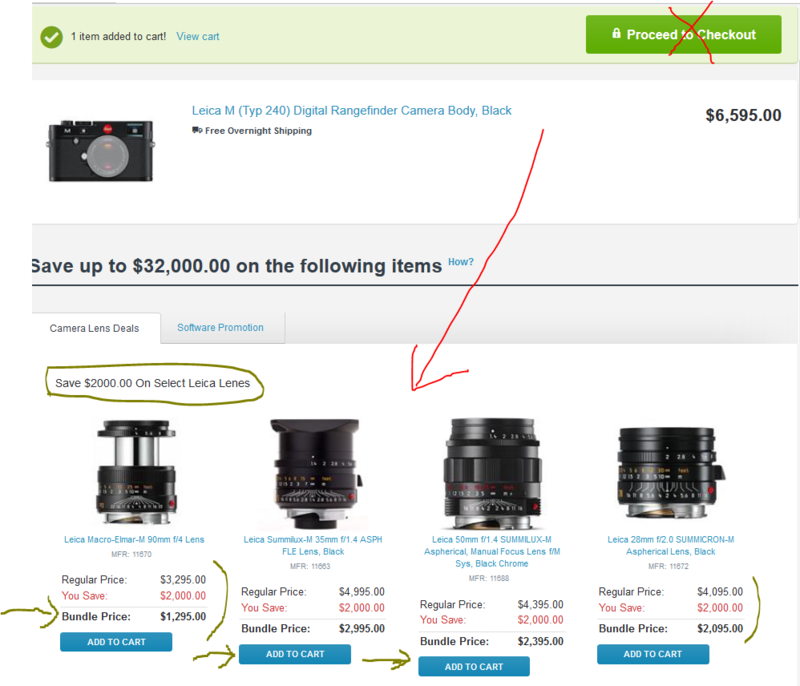 Price-checking for the upcoming Mirrorless Price Chart is underway and we have a …Leica discount! The Leica TL in the anodized silver color scheme is currently offered for $1349 with free shipping by Focus Camera through Amazon. This ships directly from Focus Camera and it is not Prime eligible. On the same listing, “Camera West” has it for $1395 plus $6.49 shipping. Discount is a relative term for Leica cameras though, this went for $1200 in the November 2017 Mirrorless Price Charts, but currently goes for $1490 at B&H and close to $1700 at Adorama. 2018 looks like another year where the smartphone flagship wars will heat up even more. It’s Huawei’s turn now, their brand new Mate 10 PRO is available for pre-ordering for $800, the unlocked US variant but that’s not all! Two retailers are offering a $150 house gift card when you pre-order it for $800. So at B&H Photo you get a $150 B&H gift card, while at Amazon you get a $150 Amazon gift card. This has 6GB RAM, 128GB on-board storage, 6″ 18:9 AMOLED screen, OctaCore with 12-core Mali G72, two year US warranty, 4000mah battery, 100% charge in 60 minutes, USB-C but no headphone jack, Android 8.0 and so on. These have been added to our brand new tracking post, The New Lenses of 2018. No, it’s not a Chipotle Sofrita, it’s a Sofort! You know the instant camera craze is for real when Leica jumps in, and their Leica Sofort Instant Camera is now on sale for $250 with free expedited shipping in all four color schemes at B&H Photo. Or if you prefer instant film bundled with it, Adorama is bundling it with the Leica Sofort Color Film Double Pack for $279 with free shipping. A red Leica M Typ 262 is coming and speaking of red Leica cameras, the new condition Leica M-P (Typ 240) Full-Frame Digital Rangefinder Camera with the 35mm f2 in the silver-chrome-RED color scheme (Canada edition) is in-stock and shipping for $10,500 at Adorama and B&H Photo. It’s the November surprise! Leica has a new APS-C mirrorless camera out, it is the brand new CL, and Leica is boldly going with this one, it’s USB-C time! It has a 24mp APS-C (rhymes with USB-C) CMOS sensor and has the Leica L-mount, so you can use TL and SL lenses with it. And that’s before you start using adapters. Wait, what’s that 18mm f2.8 lens? That’s a brand new lens that came out at the same time, it is the Leica Elmarit-TL 18 mm f/2.8 ASPH L-mount APS-C format lens, and it is available for pre-order for $1300 in black or silver at B&H Photo. These have been added to the New Cameras and Lenses of 2017. This new announcement furthered the Mirrorless lead over DSLRs in 2017 to an insurmountable 13-8. The Panasonic Leica 42.5mm f1.2 OIS micro four thirds lens is on sale for $1398 with a boatload of free lens-y accessories at Adorama: 67mm filter kit, Corel software bundle, FocusShifter DSLR Follow Focus & Rack Focus, lens wrap, lens shade, and cleaning kit. If you don’t need the extra accessories, you can instead get 4% promotional rewards ($56~ to be used in future purchases) at B&H Photo or if you pay with a Prime VISA, you can get 5% statement credit by Amazon itself. Leica has not been shy about launching different cameras and systems and partnering with various companies, including their smartphone romance with Huawei. Their first generation mirrorless camera, the TL APS-C body only is currently on sale for a limited time at B&H Photo! The black TL body only goes for $1199 with free expedited shipping and you also get 2% promotional rewards ($24~ to spend in the future at B&H). The silver TL body only is also on sale, going for $1295 with free expedited shipping. No promotional rewards for this one. Their second generation model, the TL2 body only is going for $1950, and the white color scheme is in-stock for this price at Adorama and by various at Amazon. 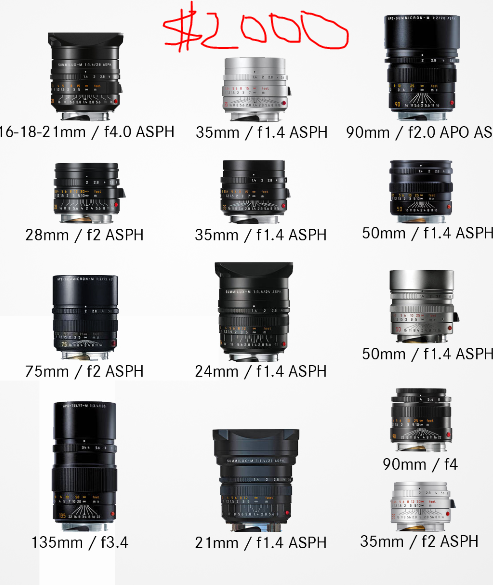 PS: Leicas are still included in the Price Charts. I only removed them from the 35mm Full Frame chart because they skew the charts and break the flow and make it too long to manage (nine 35mm FF models, $4K to $8K). If you are a fan of the Leica made-for-mirrorless mirrorless system, the new condition TL body only is on sale for $1295 with free shipping for a limited time at B&H Photo in the black and white color schemes. The black body earns 2% promotional rewards, which is around $26 to be spent in the future at B&H Photo. For more B&H options, check their Featured Sales. And we are back with the evening edition with another in-stock alert! Leica fans, open up your mirrorless wallets, the silver color scheme of the Leica TL2 mirrorless camera body only is in-stock and ready to ship at its official price of $1950 with free expedited shipping at B&H Photo. The black color scheme is not in-stock yet. PS: this is Leica’s APS-C mirrorless system. PS2: for the big picture of mirrorless prices in the market, check our Mirrorless Price Chart. 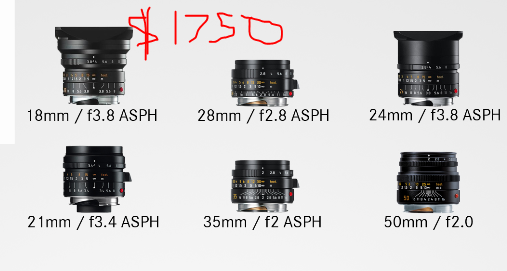 Matching the Leica camera and lens prices are the mail-in rebate amounts too! Good until 7/31/17, if you purchase an eligible Leica M or M-P camera AND one of the eligible qualifying lenses, you will receive a $1750 or $2000 via a mail-in rebate. Find details via the PDF file on the Leica M-P page and Leica M page at B&H Photo. It’s new camera time! Leica has officially announced the new TL2 mirrorless camera, with a 24mp APS-C sensor and Leica L-Bayonet Mount. It is available in the two customary Leica black and silver color schemes, with a pre-order price of $1950 at B&H Photo. Work has began to start another “Price Charts” series. As I am assembling the lists and price-checking cameras, a number of deal posts will be generated. This is the first one. The Leica SL (Typ 601) Mirrorless Digital Camera goes for $7450 at Adorama and by various at Amazon, but as of the time of writing, it appears to be on sale for $5995 with free expedited shipping at B&H Photo. PS: you can check the previous editions of the “Price Charts” at the Price Charts Archives. I will post separate alerts when the new July 2017 editions are out. I typically try to do one per day, and start and finish them within the same week, since manufacturer-initiated prices usually change on Sundays. For Leica fans, the Huawei Mate 9 Android flagship smartphone is currently on sale, in new condition, with USA warranty, unlocked, without contract or installment plan or any other preconditions, for $593 at Amazon by Amazon itself. Limit up to three per color per customer. Check bands and specs to make sure it works with your carrier(s) of choice. UPDATE: speaking of flagship smartphones, the + Lenovo-Motorola Moto Z Unlocked goes for $450 (no contract; limit 2) by Amazon itself. The new Leica TL APS-C mirrorless cameras is now in-stock in all three color schemes for $1695 with free shipping at B&H Photo and Adorama. do not Proceed to Checkout yet! This too has been added to the New Cameras of 2017, now a total of four interchangeable lens digital cameras! The new condition Olympus M. 40-150mm F4.0-5.6 R is currently on sale for $90 with free shipping by Cardinal Photo thru Amazon (ships directly from Cardinal Photo in PA)… Alternately you get it for $99with free shipping and $5~ in promotional rewards at Adorama and $4~ in promotional rewards at B&H Photo. We haven’t mentioned the Leica T Mirrorless camera in a while, but while price-checking for the new Price Charts series, I noticed that the price of the Leica T Mirrorless body only is $1095 with free shipping at B&H Photo. This is an APS-C non-rangefinder mirrorless system Leica introduced earlier on. It uses its own T-mount lenses, but of course can use the classic Leica M-mount lenses via adapters. Leica has joined the Instant Film Bandwagon/craze of the 21st century with a brand new camera, available in three cameras, it is the Sofort Instant Film Camera available for pre-order for $299 with free shipping at Adorama. Leica time, the Leica SF 64 Flash is now in-stock and ready to ship for $850 with free expedited shipping at B&H Photo. This is a Leica TTL flash. On the camera brand loyalty gifts front (shirts, coffee mugs, notebooks, keychains), coupon code LEICAGEAR gets you up to 30% off on select Leica-branded gifts at Adorama. A total of 20 items are participating. New lens time for the Micro Four Thirds world, the Panasonic Leica 12mm f1.4 prime is available for pre-order for $1300 at Adorama… This too has been added to the list of New Gear of 2016. PS: this too has been added to the Interesting Cameras and Lenses of 2016 tracking page. The 12% off Leica Instant Savings (exchange rate promotion) for a number of M-system and other Leica products is expiring on May 10 in 2016 unless renewed/extended. You can find eligible products at B&H Photo. Eligible items show the 12% off instant savings. B&H Photo is having a 12% off instant savings promotion on seven different Leica Digital Rangefinders that feature the M-A, MP, and M7. Different colors and kits get us to seven different options. Prices range from $4180 to $5717. Offer ends 3/31/16. Wait whaaaat? A new Leica system and the first lens announced is a ZOOM? Let the protests outside the Leica Headquarters begin 🙂 But fear not, they will have adapters for their M-lenses and R-lenses and S-lenses and Cine-lenses! The black Leica M Monochrome digital camera is currently on sale for $5950 at B&H Photo. The price factors in the exchange rate instant savings. The Leica M-P (Typ 240) Safari Set with the 35mm f2 Summicron-M lens is now on sale for $8791~ with free expedited shipping at B&H Photo. Actual safari trip is not included 🙂 This sale is an attempt by Leica to compensate for currency fluctuations. If you like fixed lens cameras and prime lenses and 35mm full frame sensors and Leica, this combination is now available for pre-order in the all new Leica Q Type 116 camera, with a Leica-esque pre-order price of $4250 at Adorama and B&H Photo. The intersection of cameras and smartphones has a new resident, the North American edition of the Panasonic Lumix DMC-CM1P camera and smartphone device. It is available carrier unlocked (GSM, no contract) with a 1-inch MOS sensor, 28mm f2.8 Leica DC Elmarit lens, Android 4.4, Snapdragon 801, 2GB RAM, 16GB storage, 1920 x 1080, microSDXC, a mid-June release estimate and a $1000 pre-order price, available through B&H Photo and Adorama. Adorama has a sale on Leica camera gear with 114 items participating, including cameras and lenses and accessories. The sale price is the one you see over there in red ink. No coupon, no rebate.